Don’t be afraid to break the rules, I have yet to shoot a mountain biker with a 16mm Fisheye lens, you need to be very close to make it a successful shot; it is also very risky! 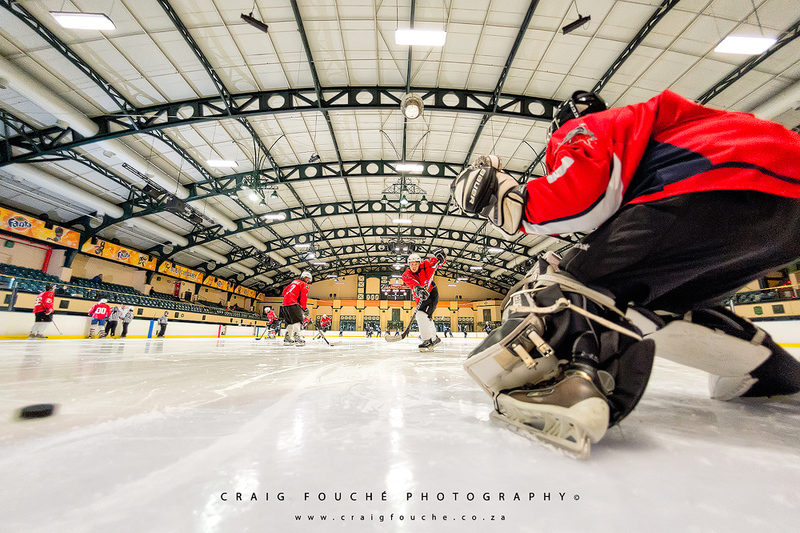 I have however climbed in behind the goalie at an ice-hockey match to shoot him defending a goal with my 16mm Fisheye, and came away without injury to both myself and my gear. 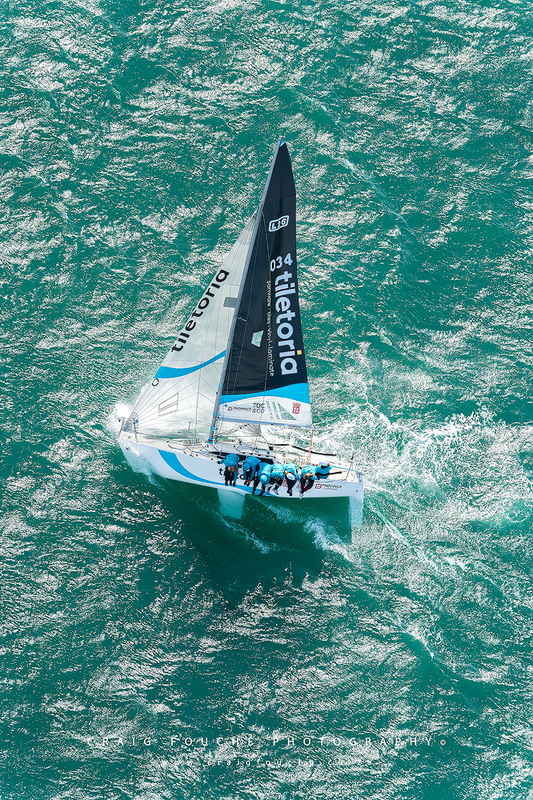 I have also shot yachts from a helicopter for a totally different perspective. Learn to pan effectively. Start from the one end and continue to pan even when the shot has been taken. Depending on ISO and lens length, 1/30 is a good place to experiment with to achieve your desired results. Besides capturing a moment, tell a story about the event or action you capturing. Take your viewer to the place they wish they were there themselves, in the midst of it all! Most sports are shot on 35mm cameras because of their portability. While some photographers have captured great sports moments with other format cameras, I use the 35mm arena which is the most commonly used gear. “It’s not the equipment but the photographer who makes the picture” is generally a true statement. However, with sports and action photography, having the wrong equipment means not getting the shots you want or need. The further away, the longer the lens is needed to capture the same image in the frame. Different sports require different lens lengths. For instance, basketball is generally shot from the baseline or side-line near the baseline. You generally can get good results with an 85mm lens in this situation. However, by the time the players are at mid court, you need a 135mm to capture them. If they are playing under the far goal, a 200-300mm lens is needed to fill the frame well, yet for shooting a soccer game, a 300-400mm lens is needed for just about anything useful. Generally, for a 35mm camera, each 100mm in lens focal length gets you about 9 meters in coverage. This coverage means that on a vertical format photo, a normal human will fill the frame fairly well. Thus, if you are shooting Rugby from the 30 yard line with a 300mm lens, you will be able to get tight shots in an arc from the goal line to mid-field to the other 40 yard marker. As players get closer, your lens may be too long. Many photographers will carry two bodies with two different length lenses for this reason. Lens speed is also a critical factor. The faster the lens, the faster the shutter speed you can use, which as the lens grows longer, this becomes even more important. If you look at the side-lines of any Rugby game, you will see people with really big lenses. These range from 300mm to 600mm or longer and even then, they may have a 1.4x converter or 2x converter attached. You need fast shutter speeds to freeze action with long lenses. Every f-stop you give up requires a faster film or less freezing potential. Most consumer grade long lenses and zooms have variable apertures, but most are f/5.6 or f/6.3 at the long end of the lens. f/5.6 is good for outdoor day time shots, but becomes very inhibiting for night games and indoor action. Most people use lenses that are f/2.8 or faster. These lenses are very expensive. A professional 400mm f/2.8 sells for around R215 000. They are also very heavy and bulky. Using a monopod is a life saver with these big lenses, or a tripod if you in a fixed position with a gimbal mount. These lenses can double up for wildlife lenses as well. 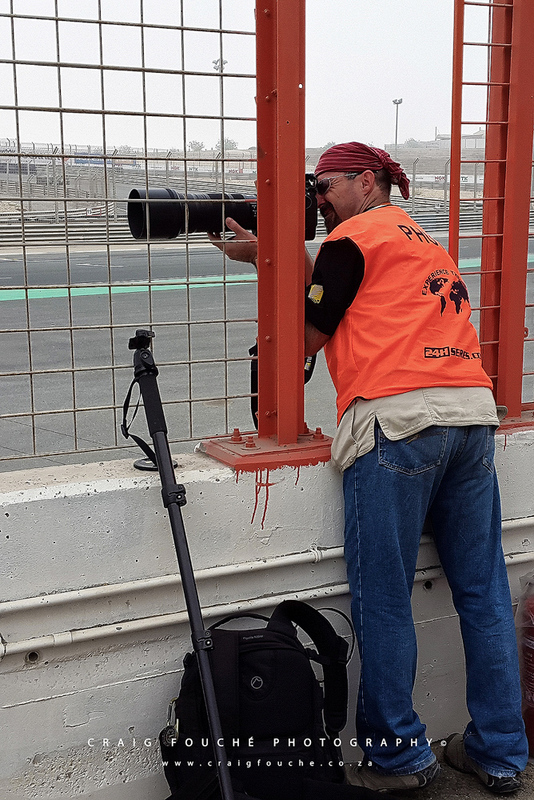 Depending on the type of sport one would be shooting, a Nikon 70-200mm f/2.8, Sigma 120-300mm f/2.8, Nikon 200mm f/2, 300mm f/2.8, 400mm f/2.8, 500mm f/4, 600mm f/4 and 800mm f/5.6 would be the choice of lenses, all can be used in conjunction with either a 1.25x (dedicated to the 800mm f/5.6), 1.4x, 1.7x or 2.0x convertors, depending on the reach required. Besides these long lenses, you need a camera that can drive them, it goes without saying, you need a professional top of the range camera body that can handle 10-12 fps. 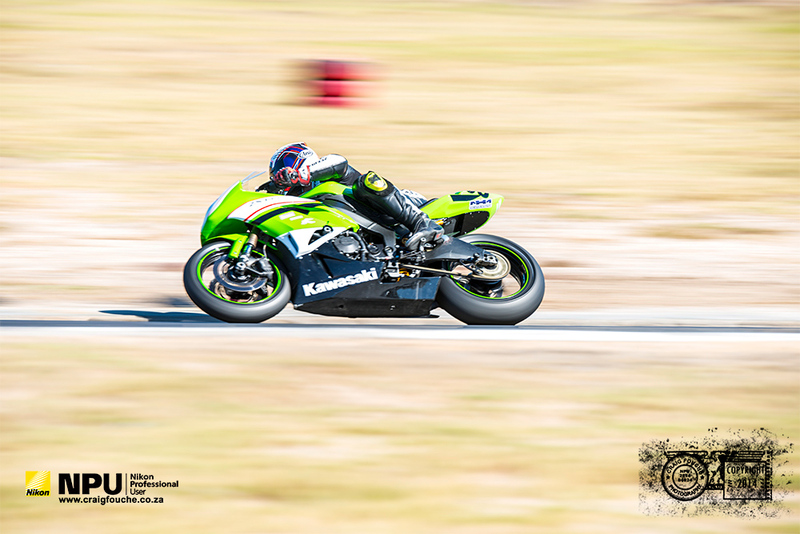 Sport photography is by no means a cheap exercise if you looking for professional images. High speed memory cards are very pricey, but make all the difference to capturing that winning shot! I use Lexar 2933x XQD cards for my Nikon D5 and Lexar 1066x CF cards for my Nikon D4.